Yesterday I called in sick. I almost lost my job, but it was worth it. It wasn’t clear to start the day that my gamble would pay off. 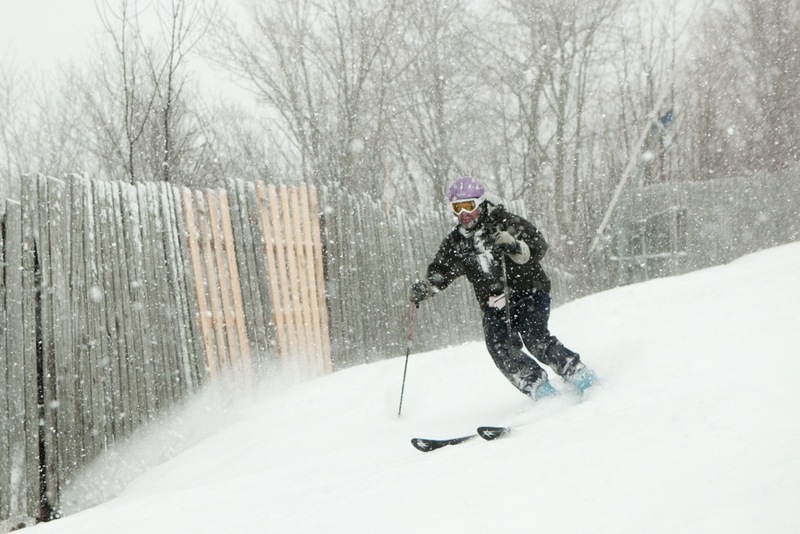 Plattekill pulled the plug on a planned Powderdaize, when the sun rose on a disappointing three inches of frozen precipitation. Fortunately NYSkiBlog HQ got me the information I needed and I traveled an exit farther north on the Thruway to Hunter Mountain where I met up with Lemmycaution and Scottski. Huh. I wasn’t exactly brimming with enthusiasm to enjoy a ski day after hearing that report. But a strange thing happened after my first stinging run through the shattered glass that was falling from the sky. It actually started to snow. At first, small flakes misted up and down like wayward winter fireflies, and before we knew it they were joined by some of the fattest flakes I’ve ever seen. It snowed hard and relentlessly throughout the day, adding six inches of the real deal on top of sleet that had already fallen. 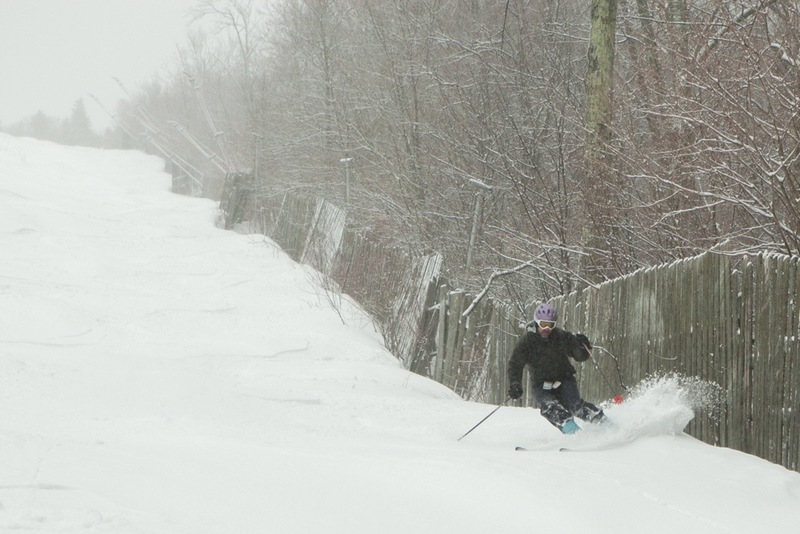 We skied aggressively to match the weather, and to defend our lines from a few other pow hunters who were on the hill. Back and forth, from the East to West sides we stalked, greedily snagging untracked lines wherever the wind had deposited it. We lapped our favorites twice or thrice in a row; it was snowing so hard that each one was better than the last. Our tracks seemed to disappear within an hour: every trip on the six-pack was a shake of the snow globe, giving us a new canvas. The mellower groomed terrain skied exceptionally well early, and by day’s end, Clair’s was transformed from unpopular girl with glasses to prom queen. Easier diamonds like Way Out and Minya Konka were incredibly rewarding all day. It was great to see the firm surfaces from the last warmup turning into last weekends news. 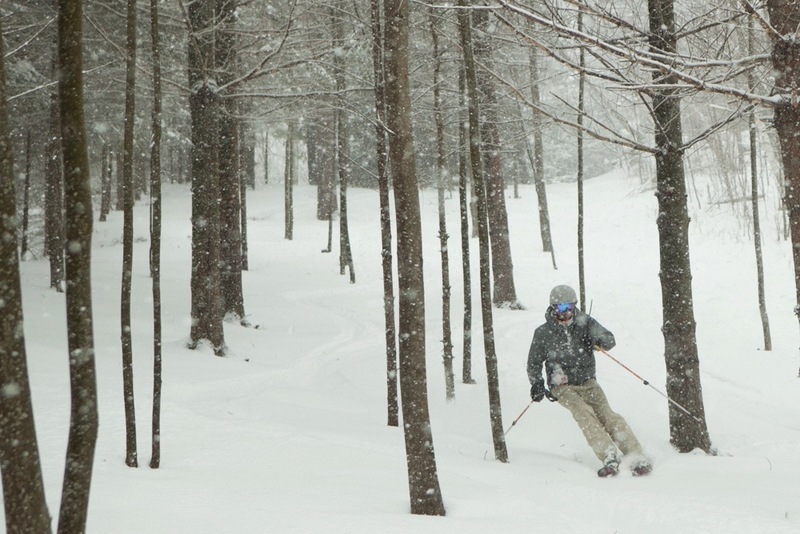 This storm wasn’t easy to predict or track, but in the end it delivered for New York, and Hunter’s deep base and steep terrain provided perfect grounds to take advantage. From the forecasts I’ve seen, pow hunting season is still on. Looks like a good day. Thanks for sharing. I’m busy getting sloppy seconds today at Hunter. Conditions are a mixed bag. Though I did manage to get to nice untracked lines early on. 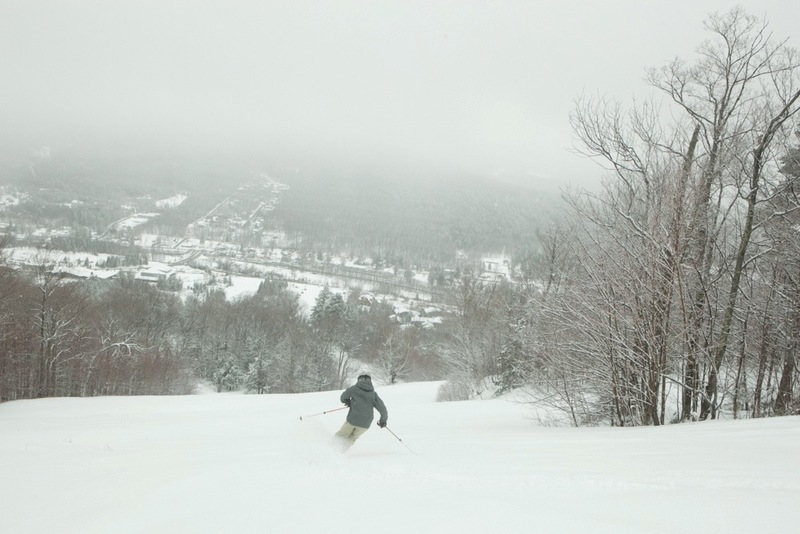 The only thing better than great skiing is great surprise skiing. ML, to me you’re the king of “you don’t know until you go.” Good on ya! Shout out to lemmycaution and Scottski. thanks Harv, you too. that was fun ML, hope we get in some more days together this season, and by that i mean: let’s make it happen. I’d love to get you guys to Gore. Hell I’d love to get me there. Harv. I am buying the three mountain pass in about ten days. Haven’t skied gore in years I would love to get shown around. 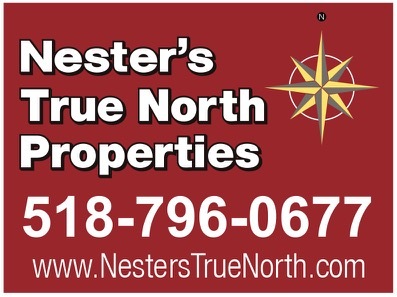 What is the typical closing day there?